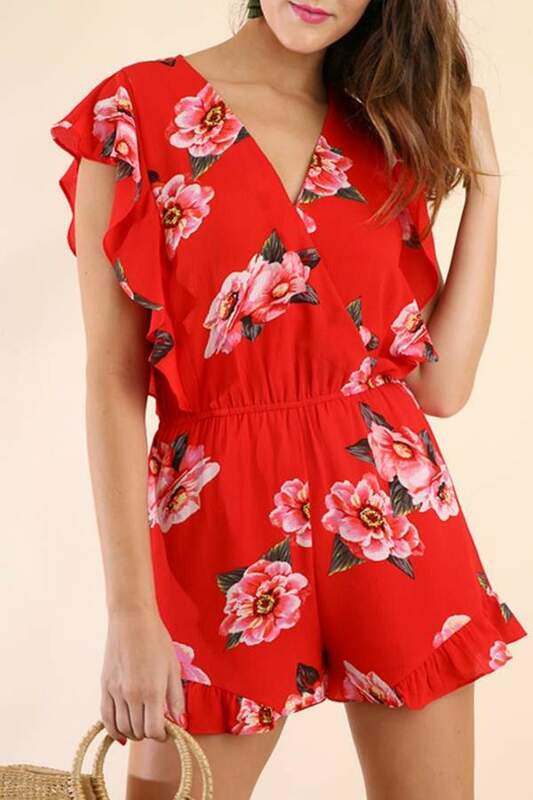 This Floral Ruffle Romper in Chili Powder Mix is ! 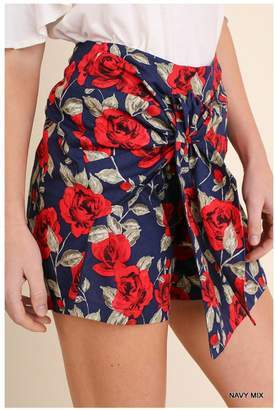 Features: Floral print ruffled surplice romper with cap sleeve, elastic waist and hook and eye front closure. Fit is loose but fit true to size on bottom. Feel is lightweight and airy. Non-Sheer. 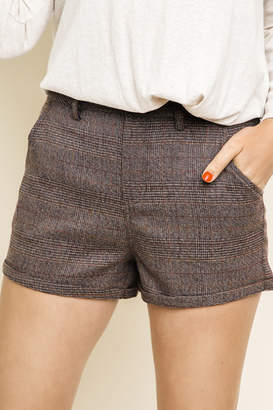 Wear it to upcoming girls night out or wow at an special occasion!